This Art Work by Danny Pagarani In March 2017 Danny Pagarani was invited to contribute to State in Time, curated by Ahmet Ogut in the NSK Pavilion of the 2017 Venice Biennale. 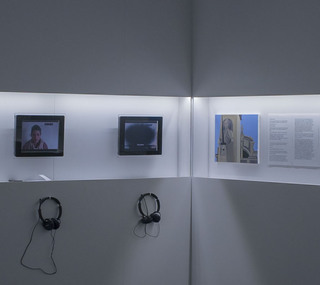 Contributors were asked to make an art work in response to the questionnaire pictured here. In March 2017 I was invited to contribute to State in Time, curated by Ahmet Ogut in the NSK Pavilion of the 2017 Venice Biennale. 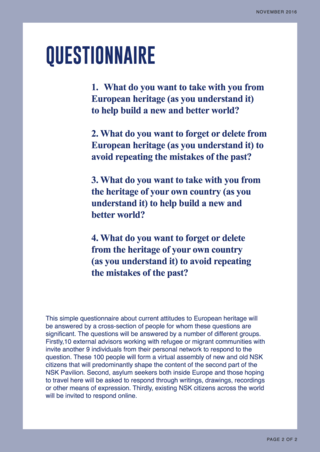 Contributors were asked to make an art work in response to the questionnaire pictured here. Remembering is forgetting is remembering is my response.